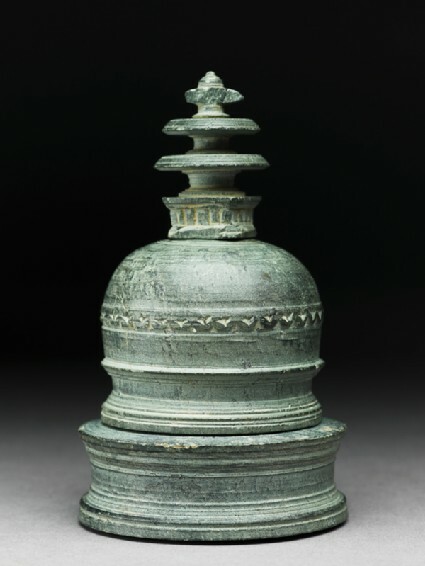 This small reliquary in the form of a stūpa underlines the earliest role of the stūpa as the repository of mortuary remains, in other words the stūpa as a giant reliquary. An early text refers to stūpas being built over the widely distributed remains of the Buddha. The stūpa is the monument par excellence of Buddhism and particularly the more primitive observance which flourishes to this day in Sri Lanka, Burma and Thailand. In the first two centuries ancient stūpas whose foundations go back to the first millennium B.C. and reaching a diameter of 295 ft. (90 m), still survive intact and are objects of great veneration. The earliest stūpa to survive intact in approximately its original form is Stūpa II at Sañci, 2nd-1st century B.C. It has a low, less than hemispherical dome, surrounded, as an object of veneration, by a stone fence, one of the vedikās of which portions are illustrated in [EA1983.24 and EAX.391]. 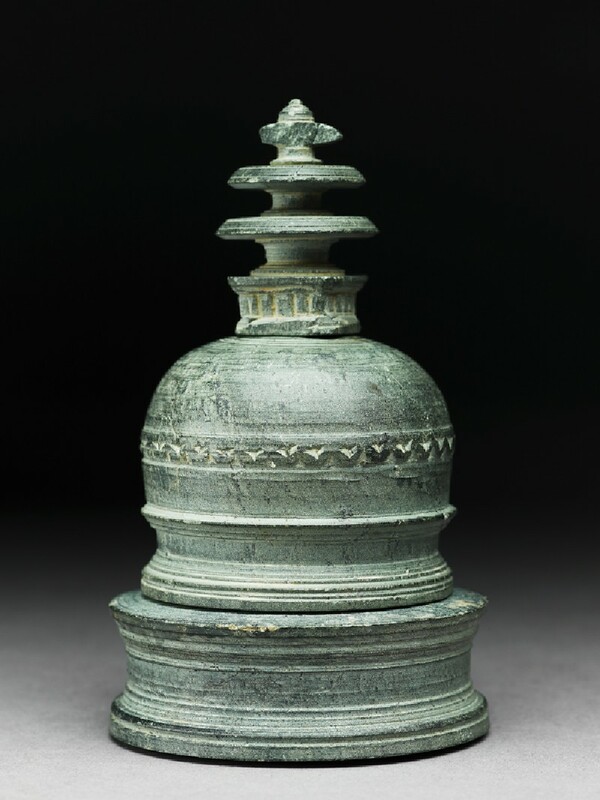 By the Kuṣāṇa period, the dome stands raised on a cylindrical element, as illustrated in the Museum’s little reliquary. 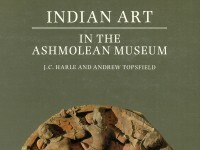 Examples of such stūpas, illustrated on countless reliefs, actually survive in Afghanistan and Swat (northern Pakistan). The shape of the square harmikā (the little railed platform on top of the dome) exactly reproduces the shape of this feature in the rare cases where it has survived: the stylised pyramid of parasols, only three in this relatively early example, is well known from stone reliefs and terracotta sealings depicting stūpas. The contents of the stūpa consisted of two little gold boxes and one silver one, now empty.